The ‘Karima’ collection is inspired by both Arabian and Indian influences with its combination of mosaic motifs fused with a splash of glamour. The collection is focussed around an Arabian-inspired tiled pattern injected with vibrant colour and eye-catching details. 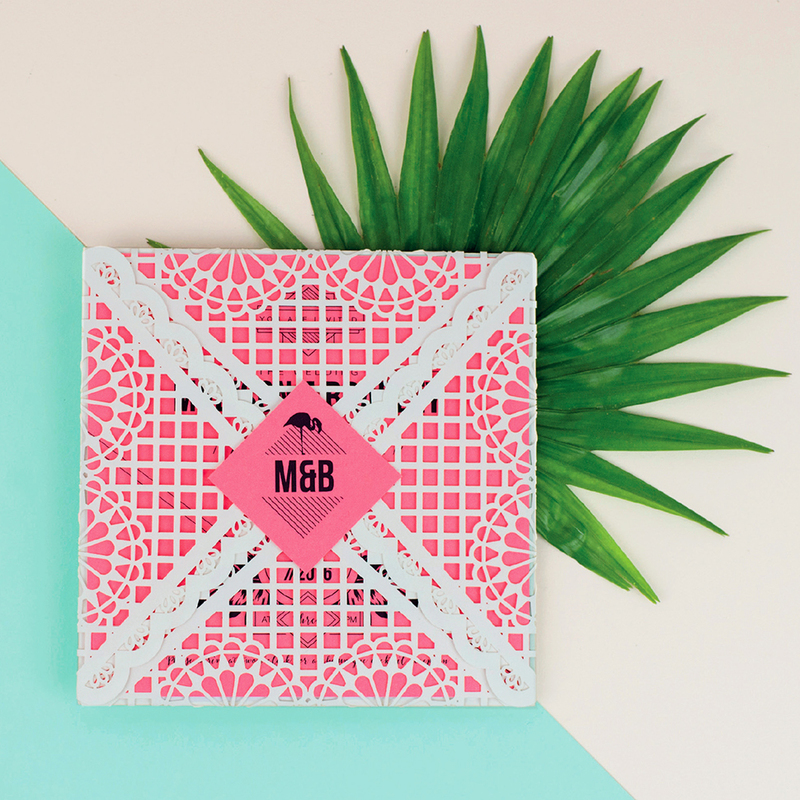 The pattern is also used to line the inside of your folding pouchette envelope and again on the reverse of the invites. 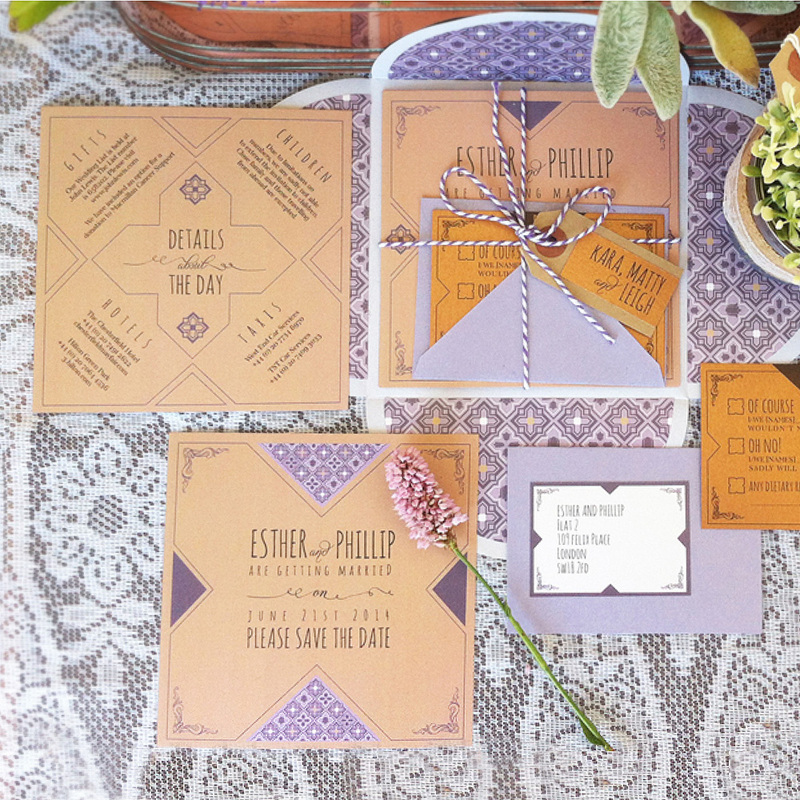 Elements of the tiles are used to create the decorative border in which all your wedding details sit. The colour palette is an amalgamation of Eastern bright hues and softer ‘English Garden’ tones to create the perfect suite for a fusion wedding . The colours are beautifully set off by the shimmering royal blue envelopes, which add a further touch of opulence to the suite. 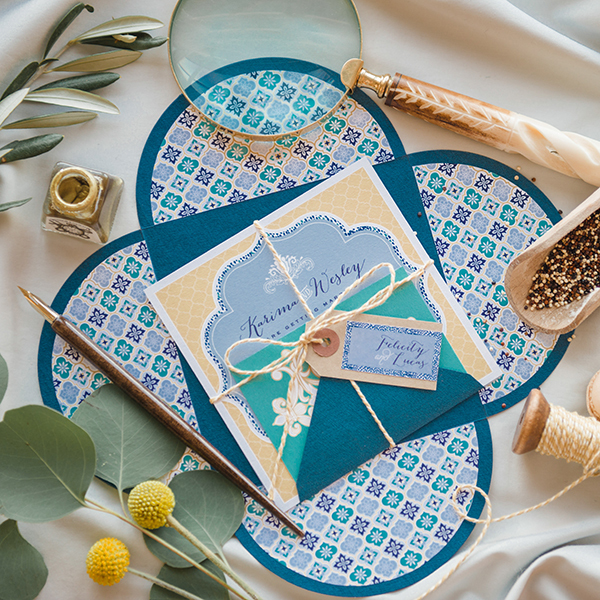 The set comes bound with baker’s twine and a guest name tag, with matching envelope seal stickers and address labels to finish. 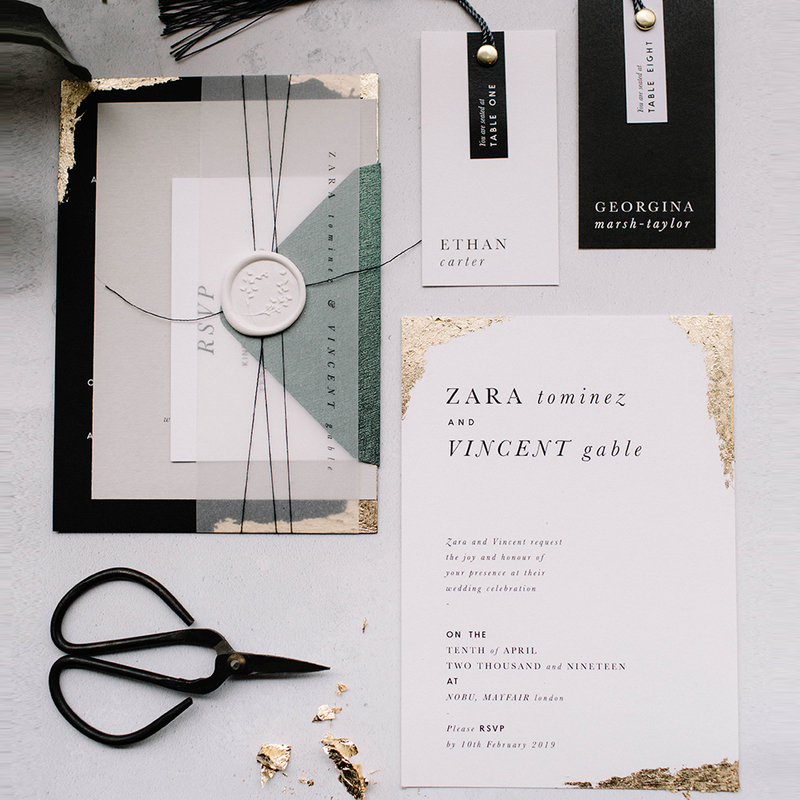 To see this wedding stationery suite in full please see the ‘Karima‘ collection in the wedding portfolio pages. 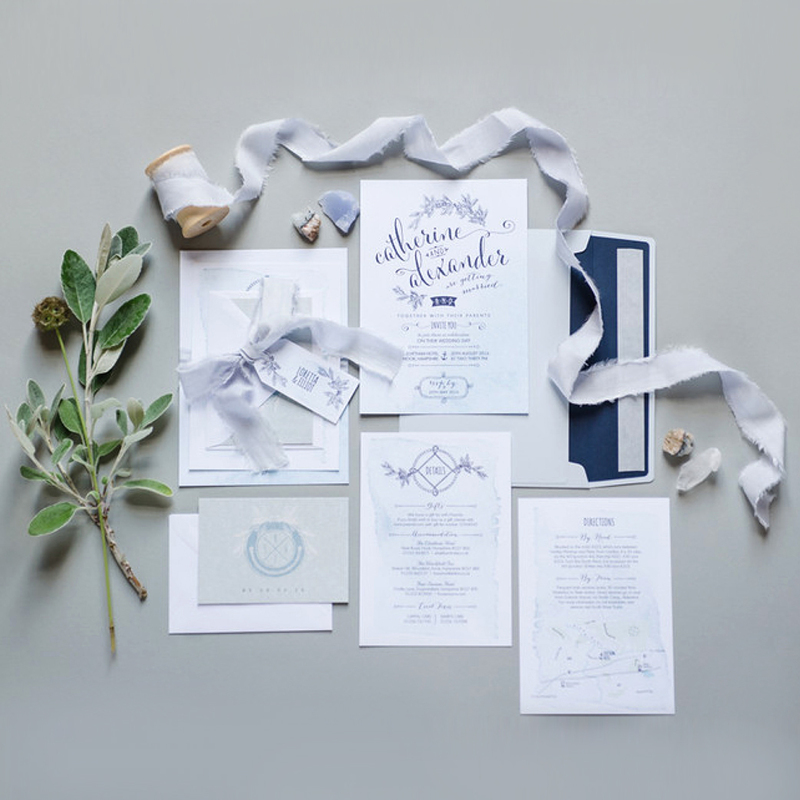 Sample packs include: Save the date, wedding invitation including a luxury-lined pouchette envelope, information insert with map, RSVP with luxury envelope, guest name tag and twine. Sample packs cannot be customised to your details.